It's been a few months since I last devoted a Hassle-Free to reader questions, and I apologize for being remiss. So this week I help Deborah out with a mysterious DVD drive problem and tell Jim how to tweak Windows Media Player--and you can follow along. Reader Deborah has a Toshiba laptop running Windows 7. A few weeks ago, the system starting treating the DVD-ROM drive as a mere CD-ROM drive. It could play and burn CDs, but wouldn't have anything to do with DVDs. The good news is that you obviously have third-party software that works, so your hassle is exactly that; it's not interfering with your everyday operation. 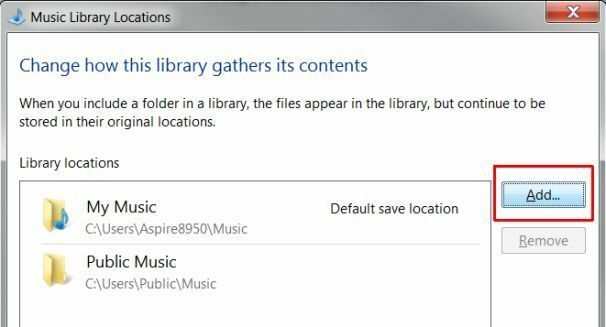 Select Organize, Manage libraries, Music. Click Add, then navigate to the folder you want to add. Click it, and then select Include folder.